In a stern move to improve the country’s aviation industry, the government has tightened scrutiny on the airline company and aircraft manufacturer involved in the fatal crash that is believed to have killed 189 people earlier this week. 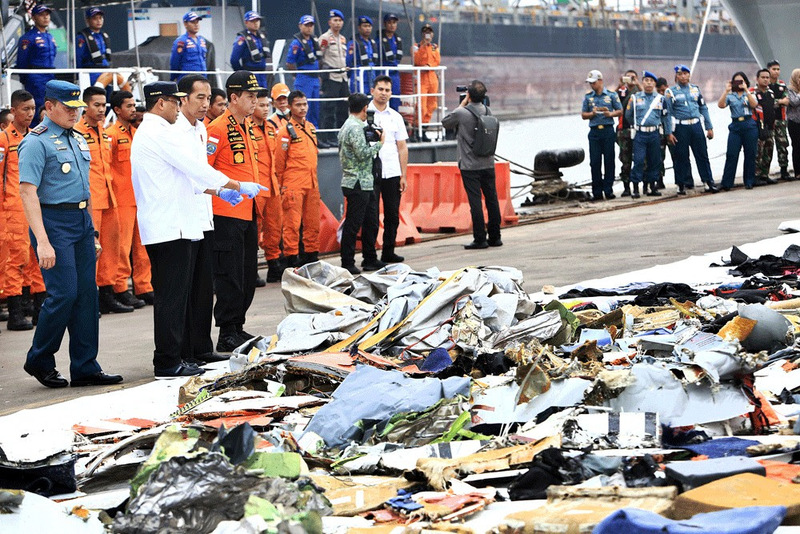 The Transportation Ministry ordered Lion Air, the airline flying the crashed JT610 flight, to suspend its technical director and a staff member suspected to have been in charge of giving approval for the aircraft to fly despite earlier technical problem. The decision came after the ministry ordered an inspection of all 11 Boeing 737 MAX 8 aircraft, the same model as the aircraft used for flight JT610, flown by Indonesian carriers to assess the model’s airworthiness. The ministry is also set to conduct a special audit by sending its special audit inspectors to the company, PT Lion Mentari Airlines, and the carriers’ maintenance facility, Batam Aero Technic. Following the crash of Lion Air’s aircraft earlier this week, the search operation for victims, wreckages of the aircraft and the black box in the Java Sea has been hindered by strong currents. Earlier, the rescue team detected a sound indicating the whereabouts of the black box. The National Search and Rescue Agency (Basarnas) head M. Syaugi said that remotely operated vehicles (ROV) had been deployed by the agency to secure the black box, yet the ROV swept by the strong currents. The search operation has been reportedly delayed until the currents got less dangerous. The rescue team has been looking for the black box as the main wreckage of the aircraft is most likely located near the box. It is believed that the majority of the victims’ bodies are still trapped inside the main wreckage. To date, the police has only identified one body. President Joko “Jokowi” Widodo expressed his disappointment over Saudi Arabia’s decision to execute an Indonesian domestic worker, Tuti Tursilawati, without notifying her family or consular staff. Following this, the president affirmed that the Indonesian government had lodged an official protest over the decision to Saudi Arabia. Furthermore, Foreign Affairs Minister Retrno Marsui has also allegedly met Saudi Arabia Foreign Minister and Ambassador to Indonesia, during which she protested over the absence of notification from the kingdom prior to the execution. According to the Agency for the Placement and Protection of Indonesian Migrant Workers (BNP2TKI), the government had previously repeatedly attempted to appeal against the verdict against Tuti before her execution, yet all attempts were denied. The failure to quash Tuti’s death sentence was caused by the Saudi’s belief that Tuti committed premeditated murder. This, according to the Saudi’s law, must be punished by death sentence with no possibilities of appeal. Following the crash of a Lion Air aircraft in Karawang, West Java, on Oct. 29, the search operation for victims and aircraft wreckage continues. A joint rescue team consisting of 812 personnel will reportedly extend the area of the search operation. Any findings will be immediately taken to Jakarta International Container Terminal (JICT) in Tanjung Priok, North Jakarta, where personnel from the National Search and Rescue Agency (Basarnas), Disaster Victim Identification (DVI), the National Police, the Army and Indonesian Red Cross (PMI) are posted to assist in handling the findings. Bodies of the victims found are being sent to Kramat Jati Police Hospital, while remnants of the aircraft are being sent to the National Transportation Safety Committee (KNKT). The belongings of the victims, on the other hand, are still being gathered in JICT under the supervision of the joint personnel. West Java police Insp. Gen. Agung Budi Maryoto said that despite debris of the aircraft having been found, its main body had not been discovered. Furthermore, environmental challenges and inadequate logistics were hindering the search operation. The financial records that were the focus of an investigative report by independent whistle-blower platform IndonesiaLeaks were confiscated by police on Monday, confirmed by the Corruption Eradication Commission (KPK). 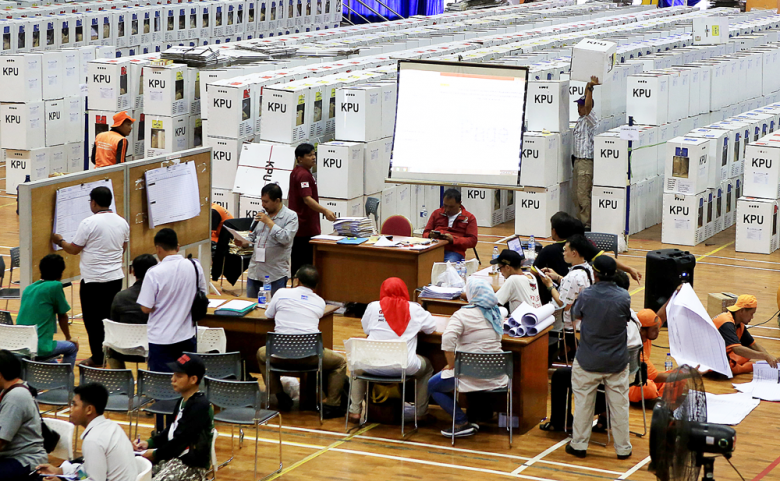 According to KPK spokesperson Febri Diansyah, KPK leaders decided to hand over the records to the Jakarta Police due to a court order from the South Jakarta District Court on Oct. 23. Febri further stated that the decision was in accordance with a letter from Jakarta Police chief Insp. Gen. Idham Azis which stated that the book was confiscated as part of the police’s investigation into obstruction of justice in relation to a graft case. The financial records, known as “the red book”, were among the pieces of evidence of a graft case involving meat-importing businessman Basuki Hariman and former Constitutional Court justice Patrialis Akbar. Earlier this month, however, the IndonesiaLeaks reported that two police officers, who were assigned as KPK investigators at the time, ripping out several pages of the book detailing transactions between Basuki and National Police chief Tito Karnavian. 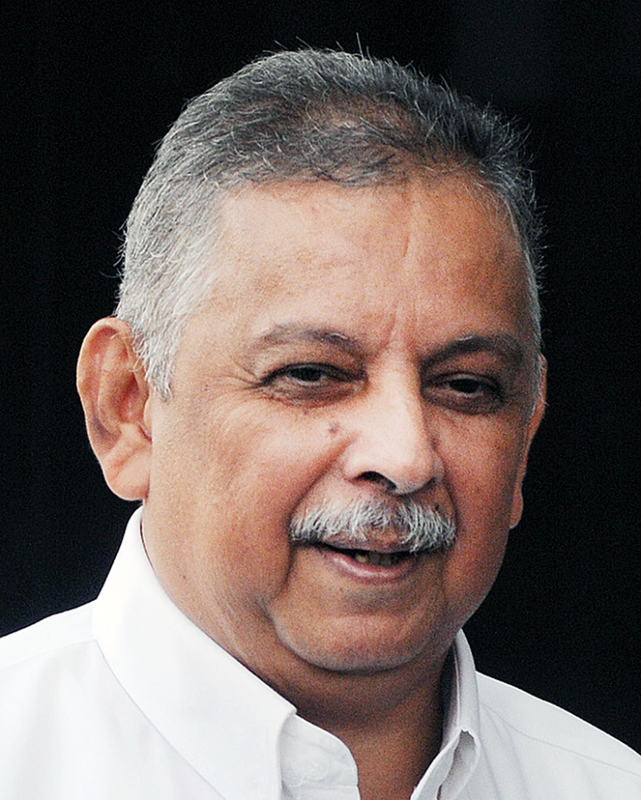 The government will begin offering period of ST-002 sukuk on Thursday. The sukuk (Islamic bonds) is expected to absorb more millennial investors due to high minimum return rate at 8.30 percent and its sharia status. The Finance Ministry Risk and Financing director Loto Srinaita Ginting said the sukuk will also be marketed online to engage millennials. The government has been launching various forms of bonds lately to maintain domestic financial health and reduce dependency from foreign investors amidst the growing trade war, while seeking new funding. The government will ease data center establishment requirement by providing data classification: strategic, important, less important; in the draft revision of Government Regulation No. 82/2012 on electronic transaction. According to the Communication and Information Ministry, only strategic data are required to be stored in Indonesia. 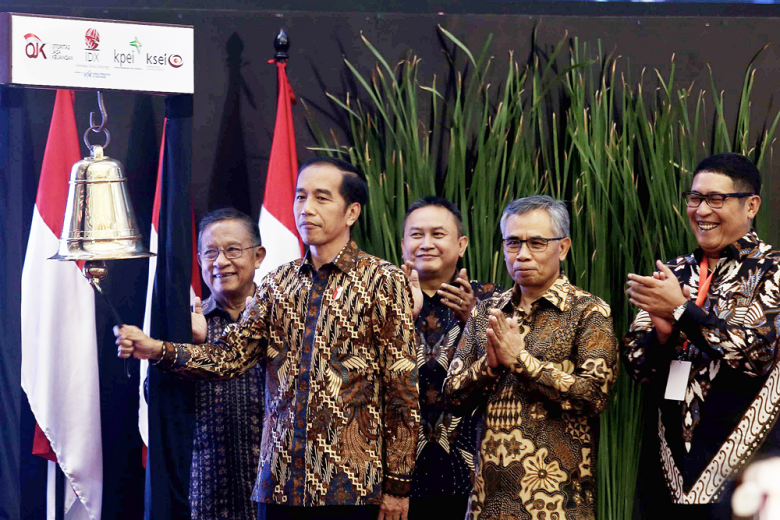 The decision thus allows important and less important data repository to be built outside of Indonesia. Indonesia’s ease of doing business rank moved to 73 from 190 countries from 72 in 2017. World Bank report on Doing Business 2019 reported that Indonesian index growth was not strong enough to compete with other developing index such as Turkey and China as some indicators showed declining performance. The index, which was launched with the report on Wednesday, is calculated from 10 business related indicators, such as construction permit, investor protection, inter-border transaction, contract implementation, etc. Indonesia’s position is still far behind other ASEAN countries. Singapore, Malaysia, Thailand, Brunei Darussalam, Vietnam were ranked 2, 15, 27, 55 and 69, respectively. State-owned domestic flight carrier PT Merpati Nusantara Airline (Merpati) is facing a bankruptcy after its majority creditors, including the Finance Ministry, declined a “peace” proposal for debt postponement payment. Merpati’s debt ballooned to Rp 10.03 trillion in 2018 despite the stagnating business performance. Its debt postponement petition (PKPU) is due this year and only court order could save the airline from being liquidized. Rupiah and financial market volatility may have triggered capital outflow but not wealth management fund. Bank Tabungan Negara (BTN) consumer director Budi Satria said banks’ wealth management status is generally unaffected. BTN recorded increasing wealth management fund to Rp 30.5 trillion in October from Rp 28.3 trillion in July, the figure in October is 19 percent higher than the same period last year. Bank Negara Indonesia (BNI) also reported similar figure. Bank Negara Indonesia Wealth Management General Manager Neny Asriani explained BNI wealth management service contributed to Rp283.5 billion revenue in September through commission-fee scheme. BNI wealth management fund is recorded at Rp 118.31 trillion in October 2018.